The median home value in Basehor, KS is $278,000. This is higher than the county median home value of $165,100. The national median home value is $185,800. The average price of homes sold in Basehor, KS is $278,000. Approximately 76.65% of Basehor homes are owned, compared to 16.33% rented, while 7.03% are vacant. 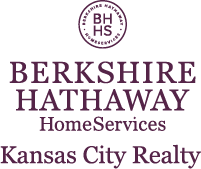 Basehor real estate listings include condos, townhomes, and single family homes for sale. Commercial properties are also available. If you see a property you’re interested in, contact a Basehor real estate agent to arrange a tour today! Learn more about Basehor Real Estate. Beautiful Villa, almost brand new! Granite counter tops, hardwood floors, stainless appliances, 1 1/2 year new. Fantastic location in a beautiful area. Everything on one level! Move in ready! This one will not last! Egress windows in basement, ready to finish and double your size. Nice laundry room. Relax and let someone else mow your yard and remove the snow, you can play golf! This mint condition RANCH has it all! So well cared for, you won't believe it isn't new! Cul de sac lot! Open floor plan with beautiful finishes! Kitchen boasts plenty of custom cabinets, granite counters and gas stove! Granite in the baths and large laundry room also! Newer - plush carpet, covered deck and wait until you see the lower level waiting for your finish! Another 1700 sq ft that is stubbed for a bath and already has a workshop and utility garage with exterior doors! You don't wan't to miss this one! Welcoming and maintained home in great neighborhood. Tons of natural light in this must see 4 Bedroom and 3 Bathroom with a finished basement that walkouts to a patio. Additional storage in basement and garage. Neighborhood includes a pool, basketball court and gazebo picnic area. Close enough to walk to the Basehor Library. Wow! You will fall in love with this 3 bedroom RANCH with zero steps and main floor laundry! Nestled on a corner lot this lovely home has terrific landscaping and a wonderful level back yard with a 6 ft privacy fence & sits adjacent to green space! Kitchen has lots of cabinets, pantry, new backsplash, and stainless appliances stay! Gorgeous floor to ceiling windows in the living room, cozy fireplace and vaulted ceilings! Stunning wood flooring in kitchen and dining room. This one has all the bells and whistles! WELCOME HOME! Gorgeous Falcon Lakes resale under 400K! 4 bd, 3.2 ba, and fully fin lower level. One owner and meticulously taken care of smart 2 sty plan. Main lvl has fml din rm, fam rm, office, eating area, lg kit”all hdwd and some carpet. 2nd lvl has spacious mstr with fp, spa-like mstr ba, laundry w/ sink, br w/ private ba, and 3rd and 4th br w/ Jack and Jill ba and lg closets. Lower lvl has wet bar/kitchen, rec area, fam rm, 1/2 ba, tons of storage. YOU SHOULD LIVE HERE. BETTER THAN BRAND NEW REVERS 1.5 STORY HOME WITH 4 BEDROOMS! Home has been updated with custom blinds, 6' privacy fence w/separate area for dogs, over sized garage, rock landscaping, high efficiency HVAC, and LED lighting! Great open floor plan. Island, granite counters, and walk-in pantry in kitchen. Luxurious master suite including jetted tub, separate shower, double vanities, and spacious master closet that opens to laundry room! Basement is finished with HUGE family room and 2 more bedrooms! The "AUSTIN" floorplan by EMERALD HOMES! Loaded! FULL WALK-OUT Basement! 3-CAR GARAGE!!! Gourmet kitchen with custom built cabinets, GRANITE countertops, HARDWOOD floors, HUGE walk-in PANTRY, stainless steel appliances! Open great room with gorgeous FIREPLACE, wrought iron spindles, custom built TRIM package, PELLA Windows, large MASTER SUITE with large walk-in closet, VAULTED & lighted tray ceiling, WHIRLPOOL tub & TILE shower! Convenient LAUNDRY/MUD ROOM next to kitchen & garage. Lot 17 This gorgeous Norbrook II plan is a 2 story build by C L Conus. His attention to detail is evident in this home. Features include: Large Kitchen with granite countertops, custom painted cabinets, beautiful wood floors, with walk in pantry and island. Main floor office/bedroom and Master and three other bedrooms on second floor with laundry on same floor as bedrooms. Formal dinning is conveniently located off the kitchen. This home is nestled in a cul de sac with a private backyard with trees! 3Bdrm., 2.5 Bath Townhome, Approx 1700 Sq.Ft. Of Finished Living Area. Large Kitchen With Abundant Cabinets, Granite Counter Tops, Hardwood Floor And Pantry. Enjoy Sitting On Your Deck Over Looking The Green Space Behind Your Home. Main Level Half Bath, Large Master Bedroom Area With Walk In Closet. Jetted Tub In Master Bath And Separate Shower. Additional 2 Bdrm. And Full Bath In Lower Level Walk Out Basement. 3 Bdrm, 2.5 Bath, Townhome, Approx. 1700 Sq. Ft. Of Finished Living Area. Features A Large open Kitchen With Abundant Cabinets, Granite Counter Tops, Hardwood Floor And Pantry. Enjoy Sitting On Your Deck Over Looking The Green Space Behind Your Home. Main Level Half Bath, Large Master Bedroom Area With Walk In Closet. Jetted Tub With Separate Shower In Master Bath. Additional 2 Bdrm. And Full Bath On Lower Level Walkout Basement. 3 Bdrm, 2.5 Bath, Townhome, Approx. 1700 Sq. Ft. Of Finished Living Area. Features A Large Open Kitchen With Abundant Cabinets, Granite Counter Tops, Hardwood Floor and Pantry. Enjoy Sitting On Your Deck Over Looking The Green Space Behind Your Home., Main Level Half Bath, Large Master Bedroom Area With Walk In Closet And Jetted Tub With Separate Shower In Master Bath. Additional 2 Bdrm. And Full Bath In Lower Level Walk Out Basement. Fantastic brick ranch on large corner lot, with covered patio. Priced at $13,200.00 Under County Appraisal. Plenty of room to decorate to your liking and still maintain equity. HUD CASE#183-008731 Please call me or your Realtor to schedule an appointment to view this home. HUD Homes are sold œas is. Ask agent for details and have them submit offer online. May Qualify for FHA $100 Dollar down program as well. Ask your favorite FHA Lender for details. Ready to move into. Beautiful 1.5 Story, The Windsor II. 4 bdrm, 3.5 bath. Large Lot on the Corner. Granite Counter tops, custom cabinets in the kitchen. Onyx Vanity Tops in the Bathrooms. Mosaic accents on Kitchen back splash and shower walls. Stainless Steel appliances. Taxes are estimated. This beautiful 5 Bdrm. 4 Bath, 2 Story Walkout Home is being built in The Pinehurst Estates Sub Division. High End Finishes, Custom Cabinets, Kitchen Island, Open Floor Plan w/ Hardwood through out the first floor, 3 Car Garage, 3 Fire Places w/ 2972 Sq. Ft. of Finished Space. An Additional 1400 Sq. Ft. of space in the Basement is an Optional Finish. Home comes with Pre Wired Security and 3 cameras. Located in Cul-De-Sac. You must see this unique plan. Lovely Open Ranch with lots of extras. Great Room has a fireplace and a open kitchen/dining area with large walk in pantry, granite counters, custom cabinets. Master Bedroom has large walk in Closet, Master Bath has a double Vanity w/ Granite and separate tub and shower. Two additional bedrooms and bath make up the rest of the Main Level w/ a large Family Room, two more bedrooms and a bath on the lower level. Another C. L. Conus Built Home, Superb Quality and Craftmanship. 5 Bdrm., 3 Bath, 1.5 Story Reverse Home nestled in the exclusive Pine Hurst Estates Sub Division. Open Floor Plan, Beautiful Kitchen, Walk in Pantry, Custom Cabinets, Lots of Hardwood Flooring, Granite Countertops in Kitchen with Onyx Bathroom Tops. These Homes offer excellent detail throughout. Windsor III Floor Plan by C. L. Conus. Fantastic quality built 1.5 Story, 4 bdrms, 3.5 baths, 3 Car Garage, Vaulted Ceilings, Upgraded Trim package, Iron Spindles, entry benches, granite countertops in the kitchen, upgraded stair carpet and Tile, Oil rubbed bronze hardware, ceramic tile in all baths except powder room. 3 1/4" Oak floors in kitchen dining, powder room, and hallway. Beautiful True Ranch Home Nestled in the Pinehurst Estates Sub Division. 4 Bdrm, 3 Bath Walkout with Large Sunroom. Top of the line finishes including Granite Countertops, Custom Cabinets, Soft Close Cabinet Doors, Whirlpool Tub, High Efficiency Furnace with tons of Storage in the Basement or additional space can be finished with a 3rd Car Garage. Taxes and room dimensions are approx. Check this Beautiful Reverse, Open floor plan, great entertaining space. Large Great Room w/ Fireplace and wood floors. Kitchen w/ Island and large pantry. Dining room that looks out to the covered deck. Master Bdrm on the main level w/ walkin closet, Master Bath w/ Double Vanity and separate shower and tub. 2nd Bdrm also on main level, Two Bdrms down with the large family room.